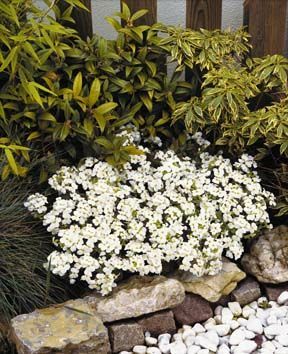 A dependable choice for less than desirable soils, placed in rock gardens or crevices in rock walls, ‘Snowfix’ will undoubtedly perform. 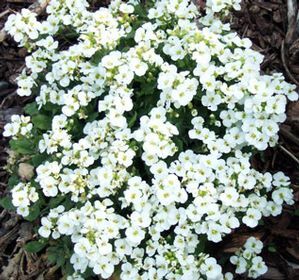 An evergreen mound of soft grey-green foliage reaches 6” tall and, in early spring, tufts of pure white flowers will cover the foliage. 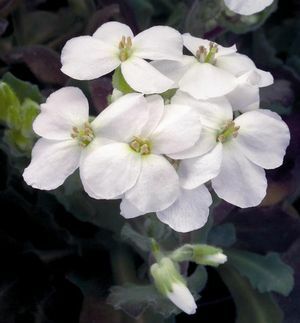 Excellent drainage is a must and cutting back after flowering will produce dense foliage. Mulches help reduce water evaporation in hot or dry weather. Fertilize early in the plant's growing cycle (spring for summer plants, fall for winter plants).